Turn back the hands of time with the help of Skin Doctors. The Instant Facelift is your 5 minute surgery-free lift and tuck, reducing fine lines and wrinkles. The immediate effects will leave you looking years younger and feeling as fresh as a daisy. Combining three highly specialised lifting and firming technologies, Skin Doctors Instant Facelift forms a tightening matrix to hold your skin taut and firm, reducing the appearance of fine lines and wrinkles whilst taking years off tired, sagging skin. Perfect for an instant pick me up or as an everyday cosmeceutical treatment. After cleansing, dispense a few drops of Instant Facelift on your fingertips. Apply in a circular upward motion on the face, avoiding your eye area. Wait a few minutes to feel the instant effects! 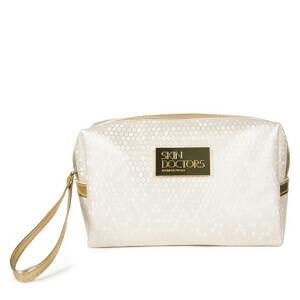 Save up to 50% on selected products PLUS receive a FREE Skin Doctors Honeycomb Bag when you spend £25 or more on Skin Doctors.